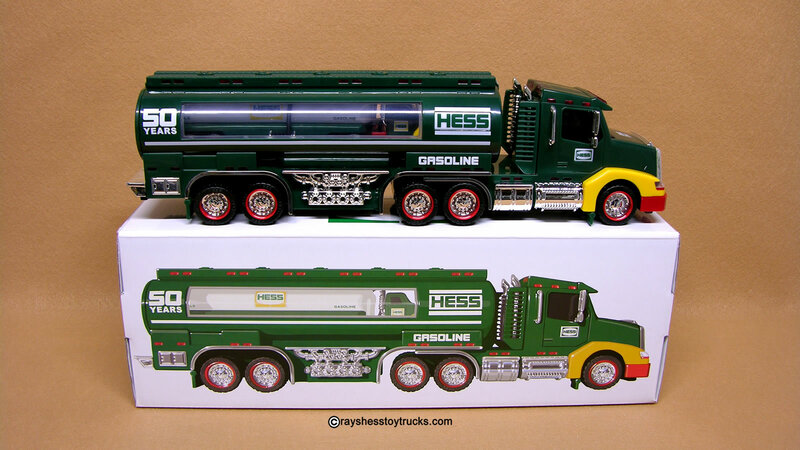 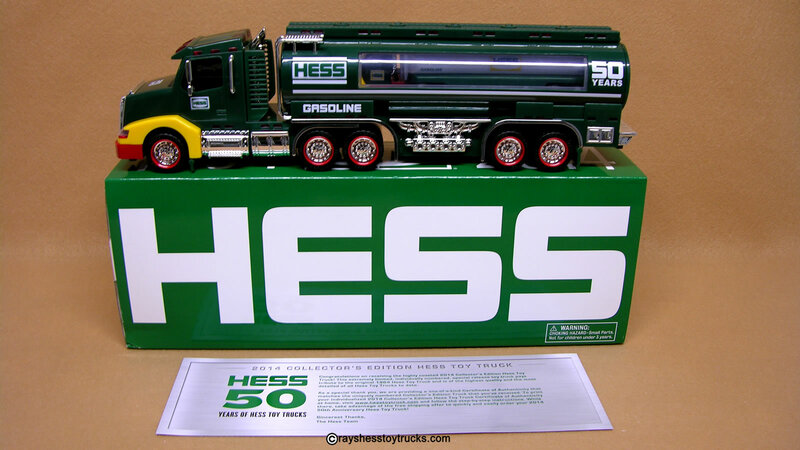 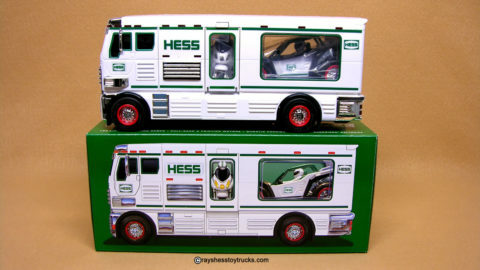 Home / Hess Toy Truck Specials / 2014 Hess Collectors Limited Edition Toy Truck – 1 TRUCK LIMIT! Hess outdid themselves this year by going back to the green tanker which features yellow front fenders and red accents on the front bumper and wheels and complimented by the awesome chrome detailing all over the truck. 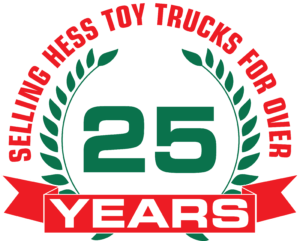 If that isn’t enough there are over 100 working lights include 27 super bright LEDs – the most of any Hess Toy Truck, first ever undercarriage lighting, and interior showcase lighting in the rear compartment. 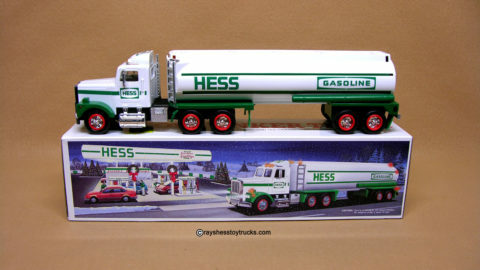 At the rear of the truck there is a hinged door that gives access to the near-replica version of the 1964 Hess Toy Truck tanker inside. 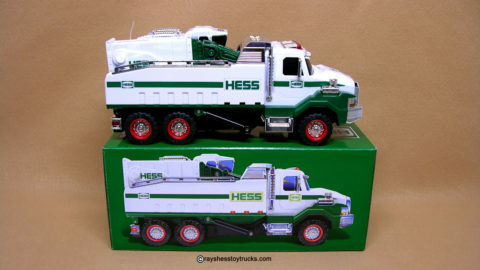 Due to the high demand for this truck there is a 1 TRUCK LIMIT. 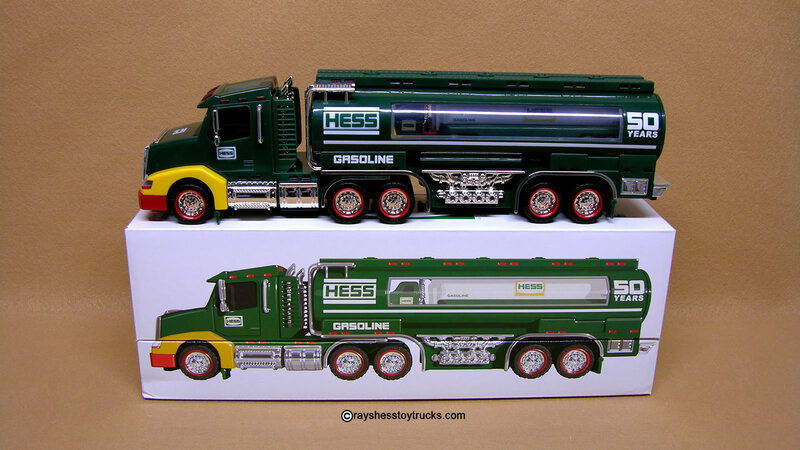 We want to see that as many collectors as possible have a chance to get this very special Collectors 2014 Hess Toy Truck Limited Edition. 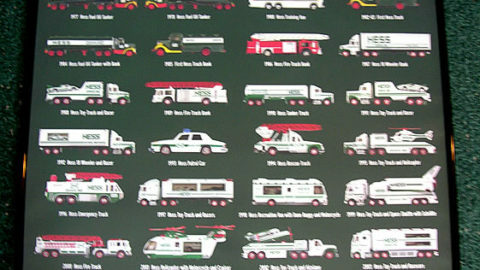 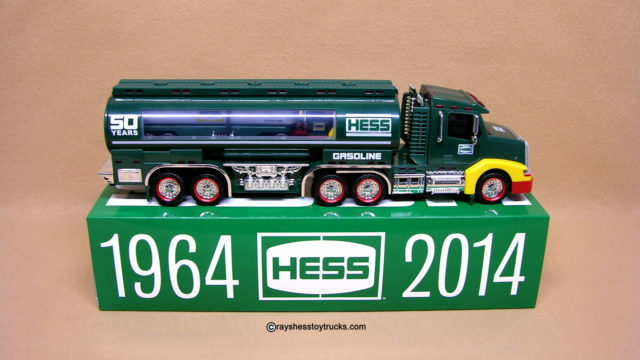 2014 “Official” Hess Toy Truck Poster – Not Reproduction!